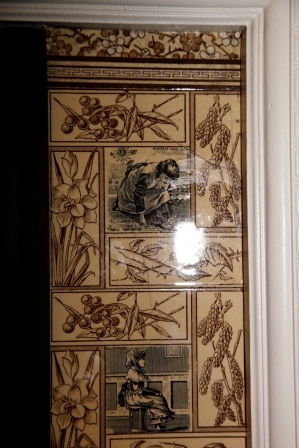 New Marsden tile co circa 1900. 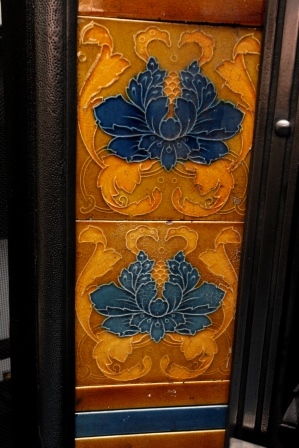 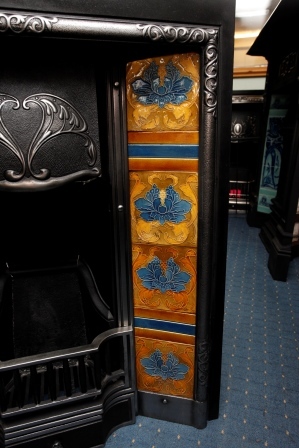 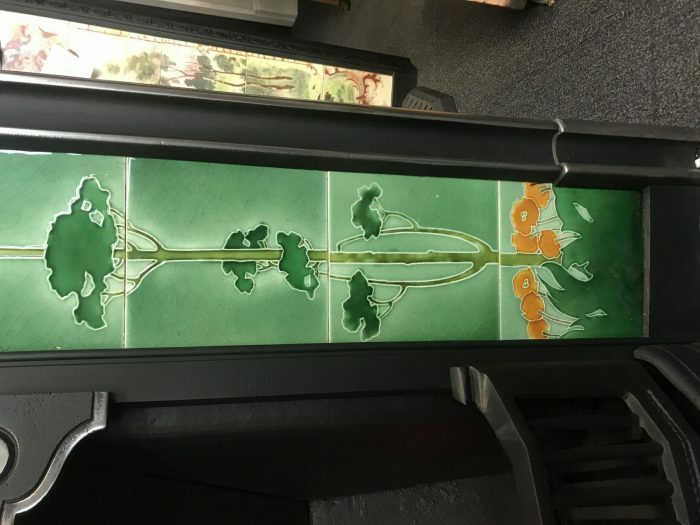 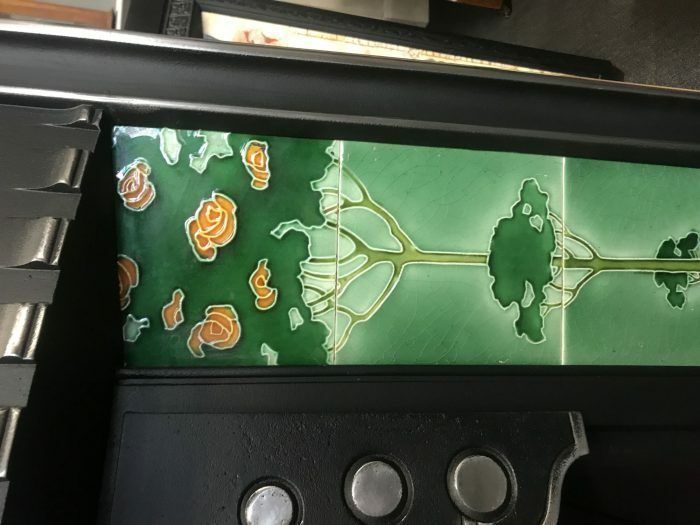 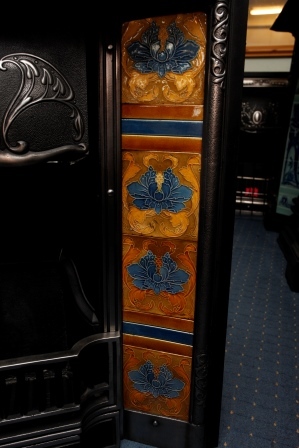 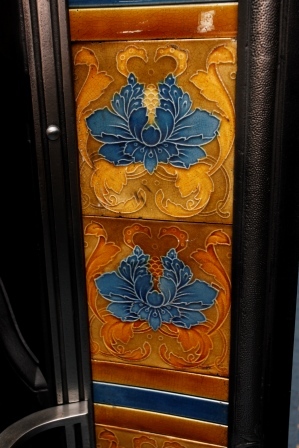 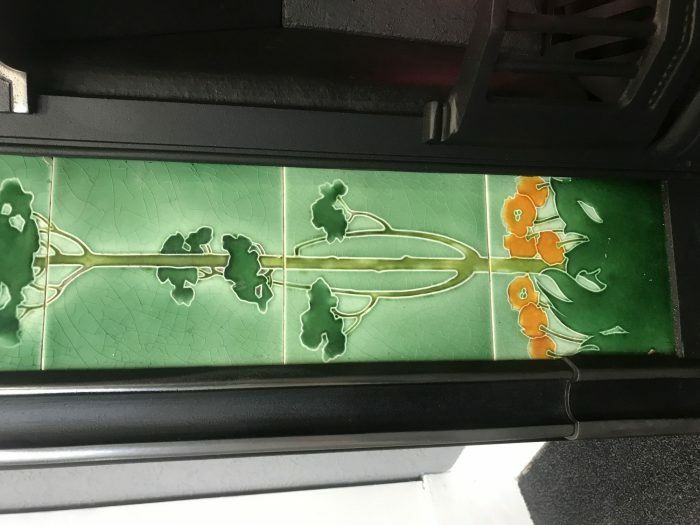 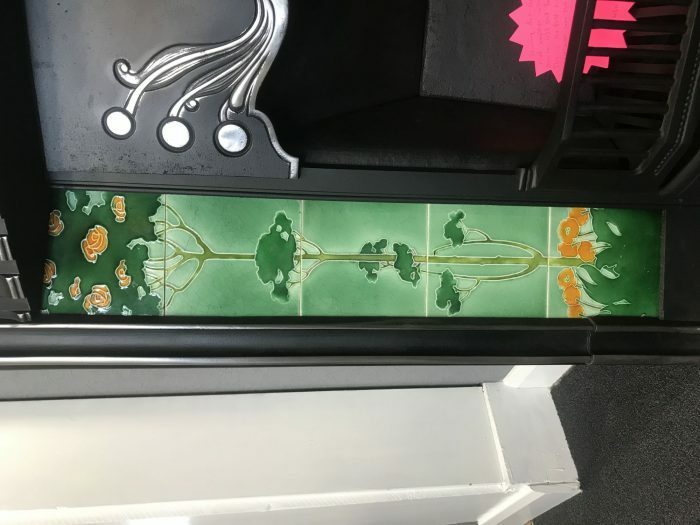 Art Nouveau tube lined tiles, hand coloured. 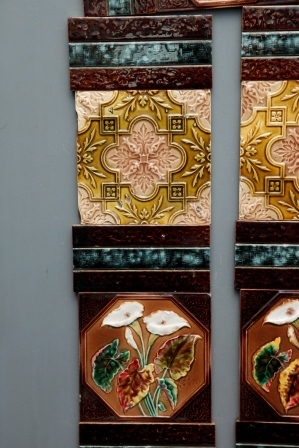 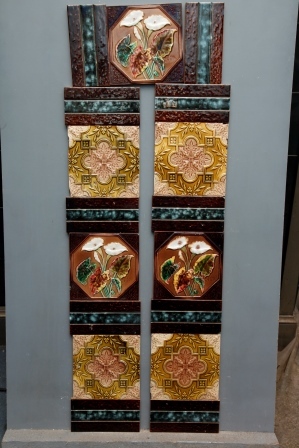 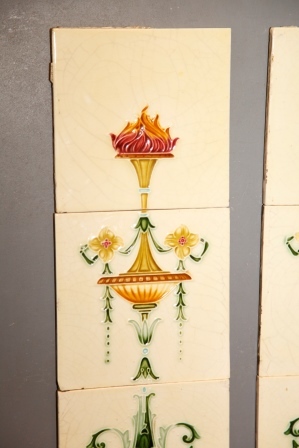 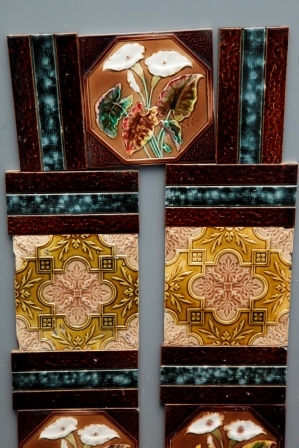 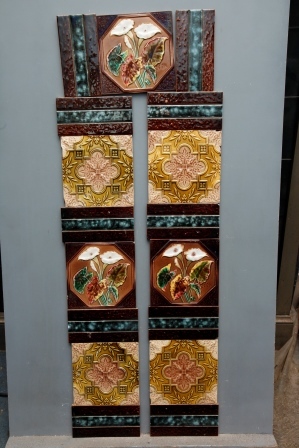 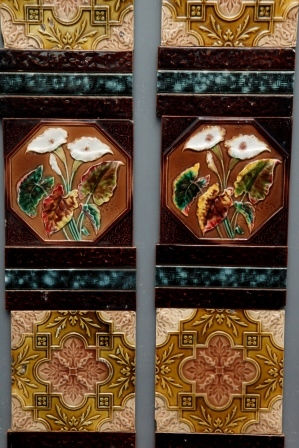 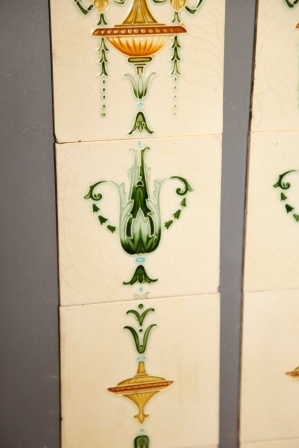 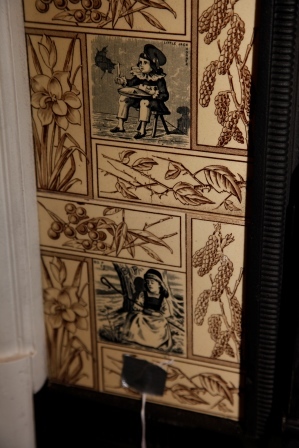 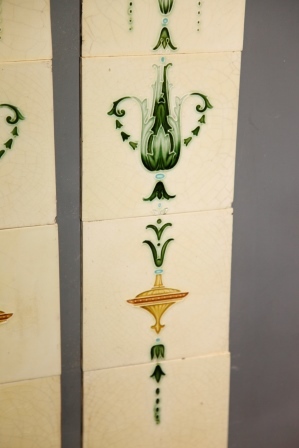 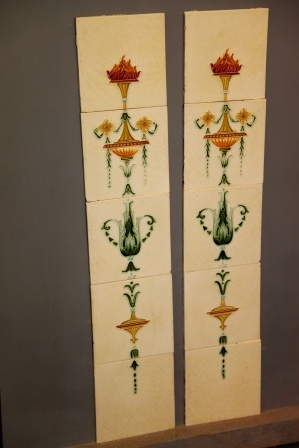 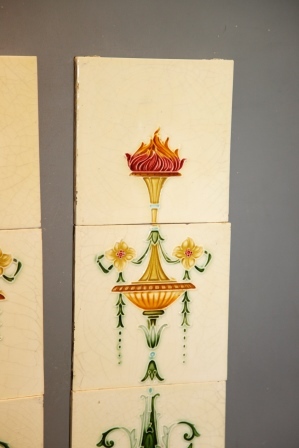 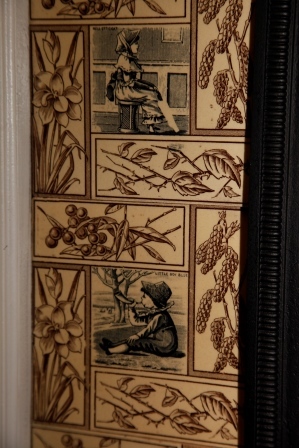 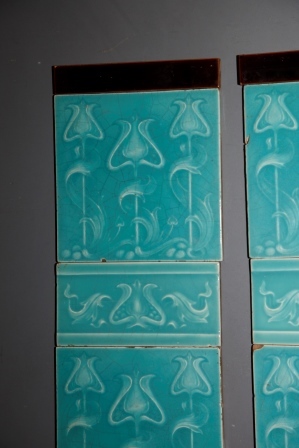 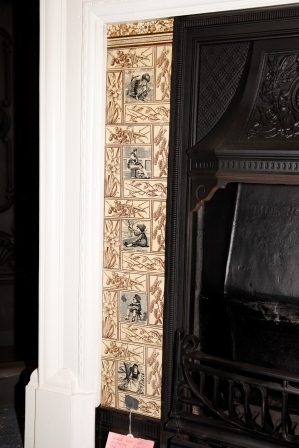 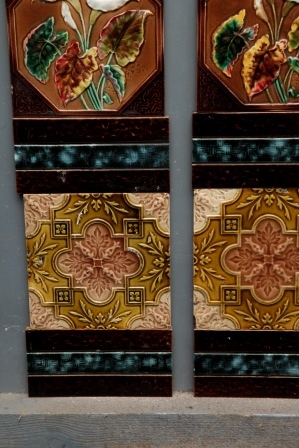 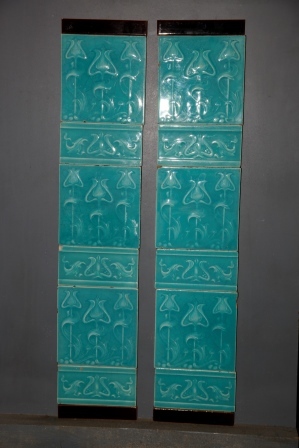 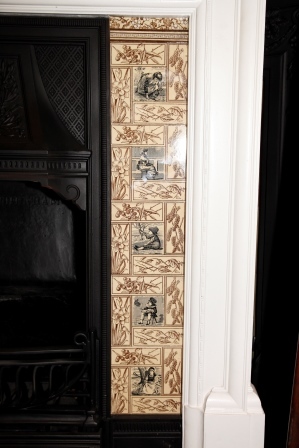 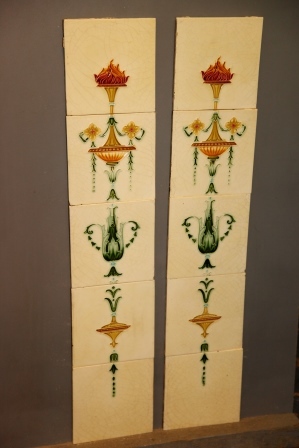 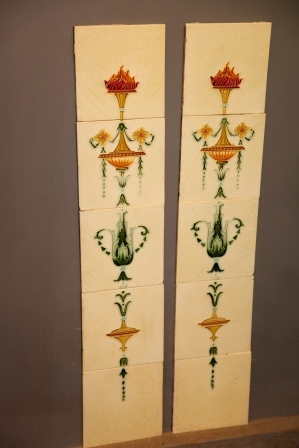 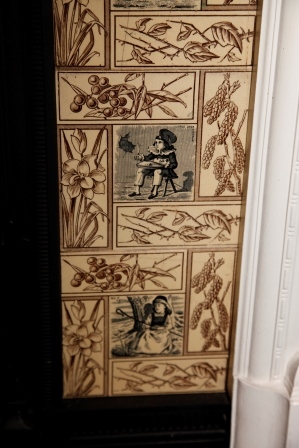 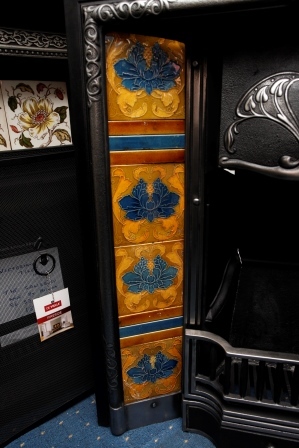 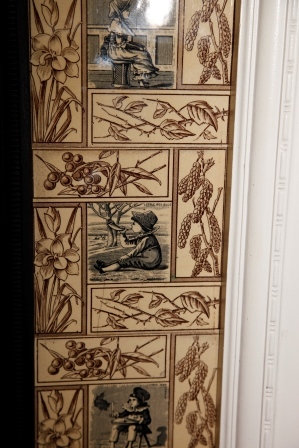 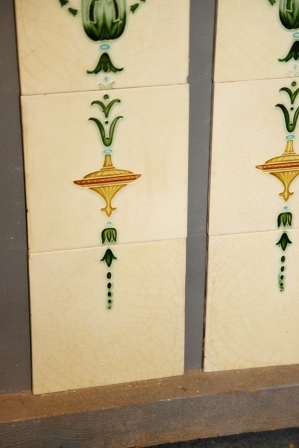 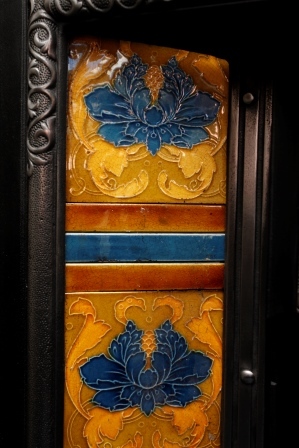 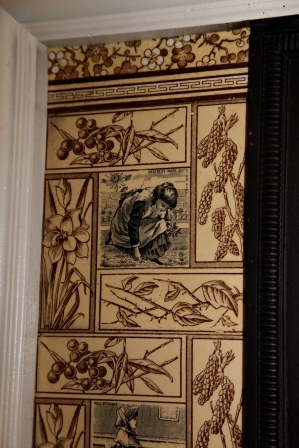 A set of tiles probably made by Mintons circa 1890. 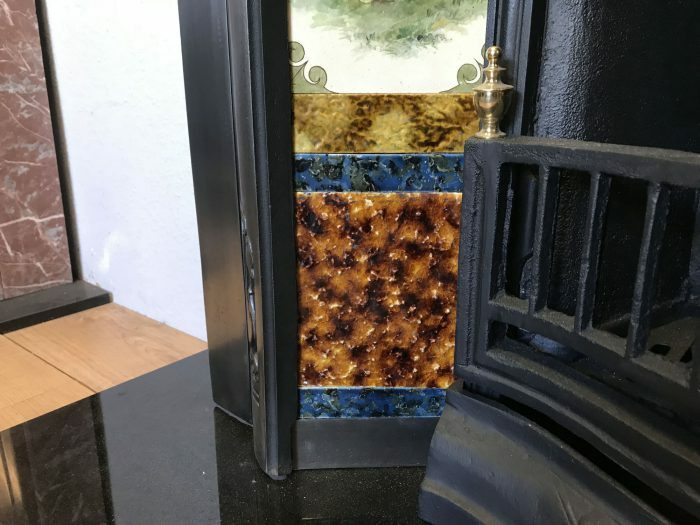 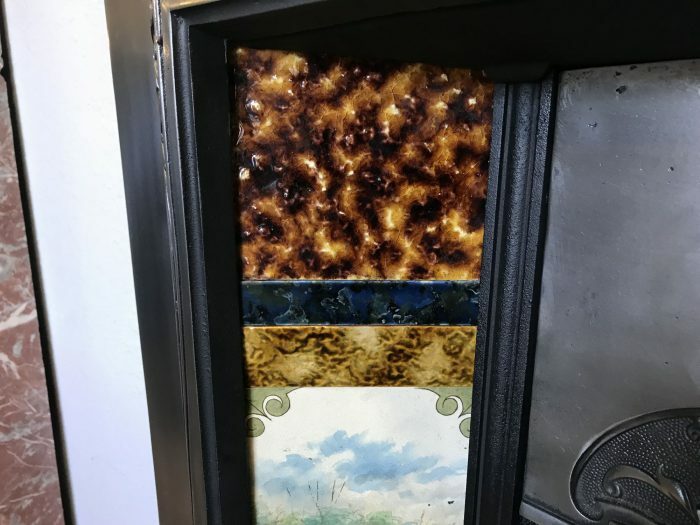 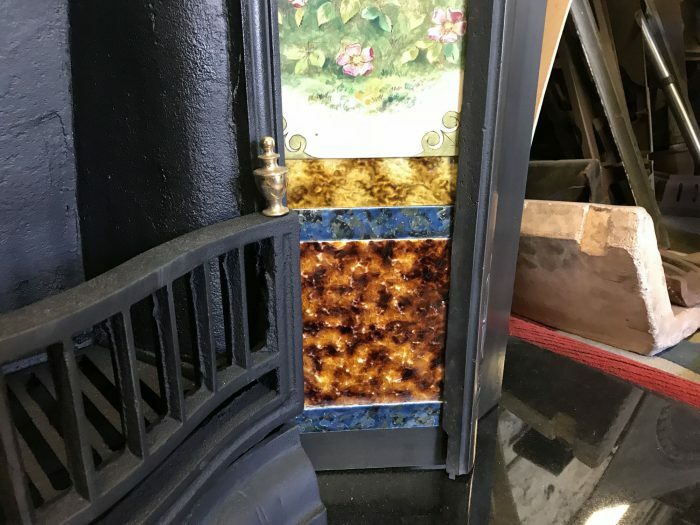 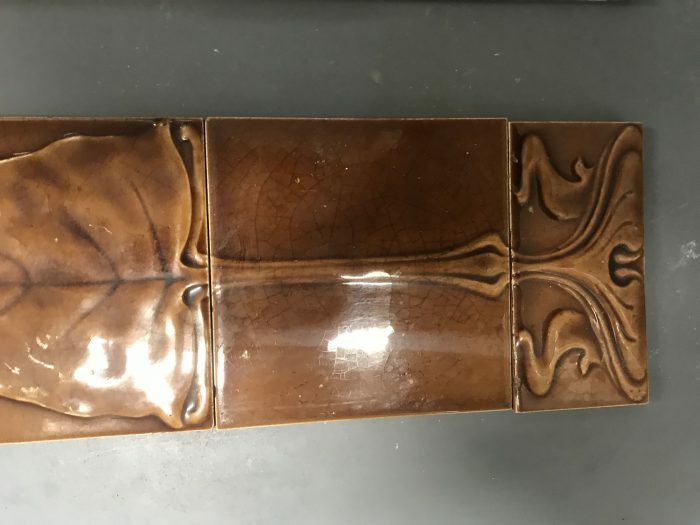 The 2 middle tiles are 6" x 12" tiles. 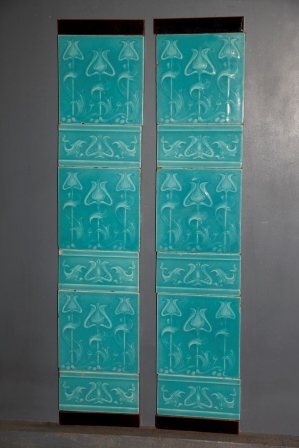 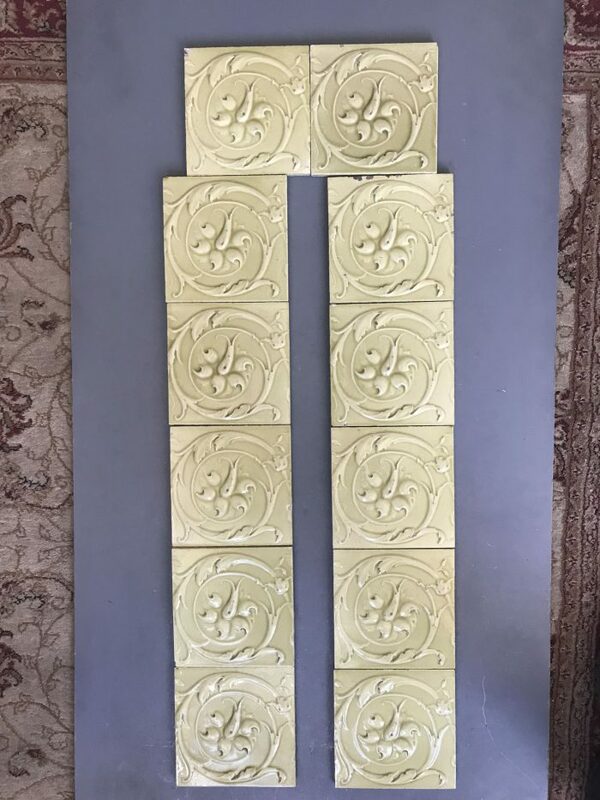 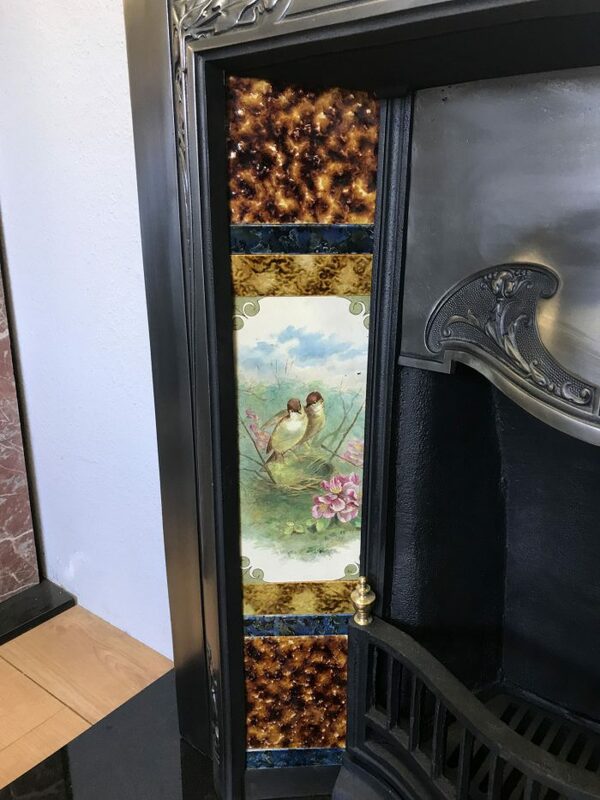 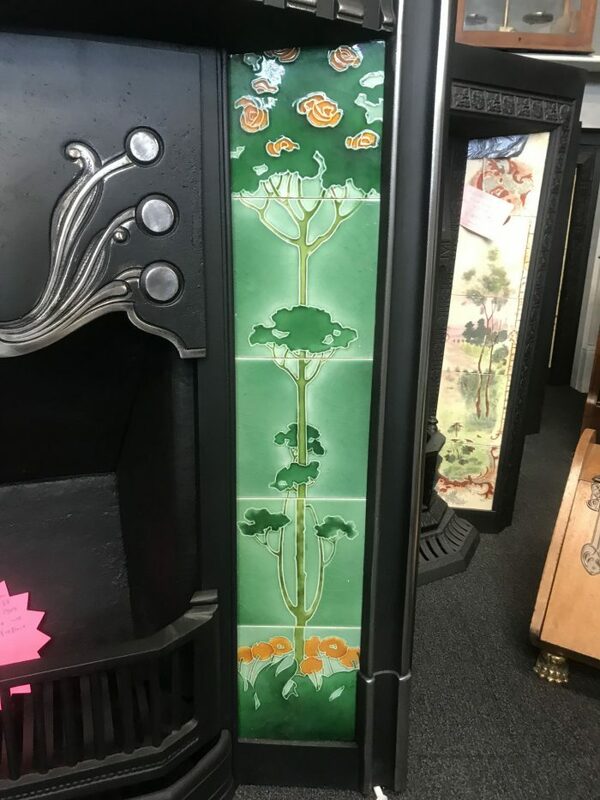 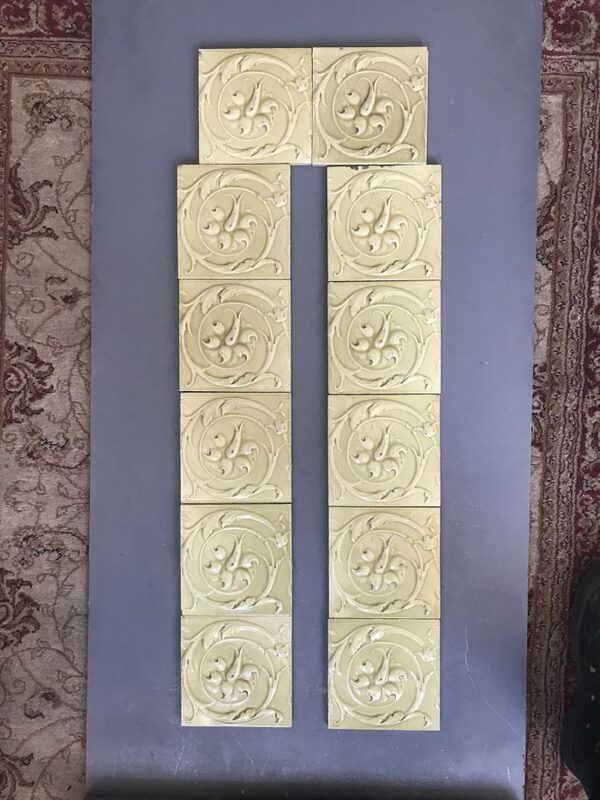 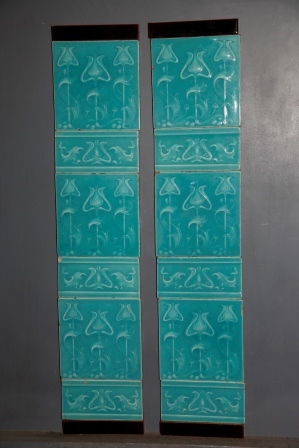 12 Art Nouveau tiles by T & R Boote 1880 - 1910.
art nouveau tiles by T A Simpson circa 1870 - 1900. 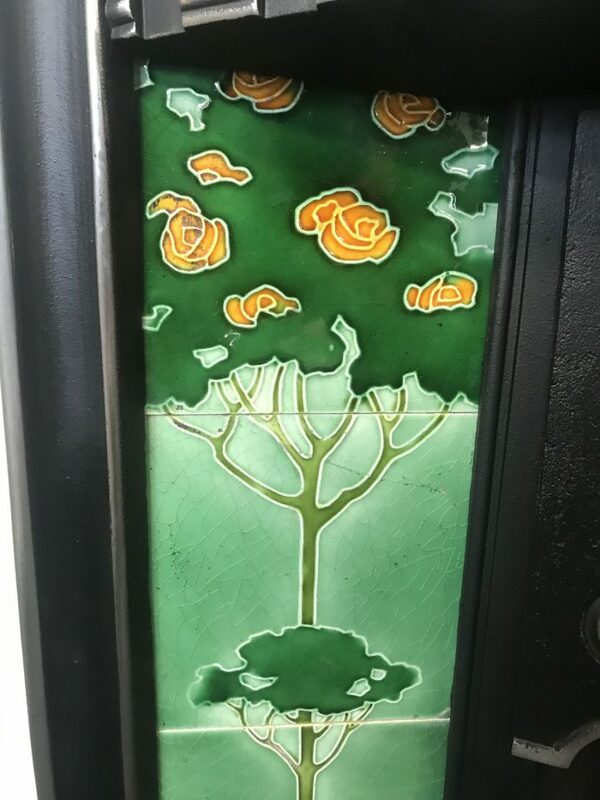 1 tile has been repaired. 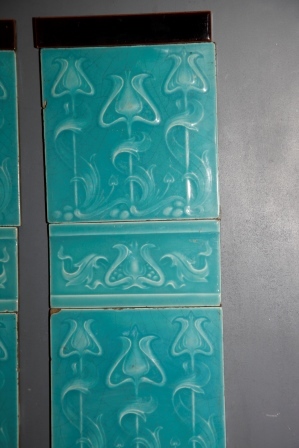 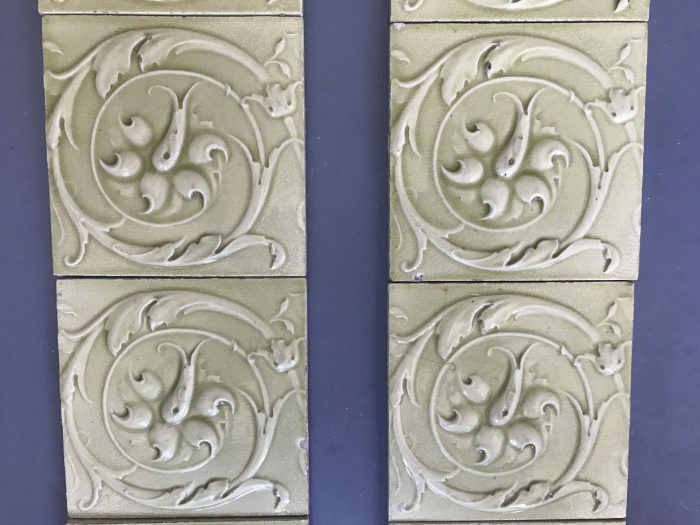 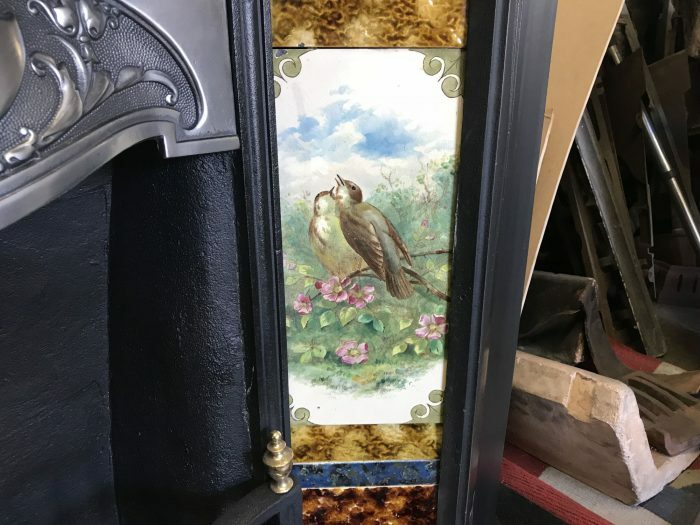 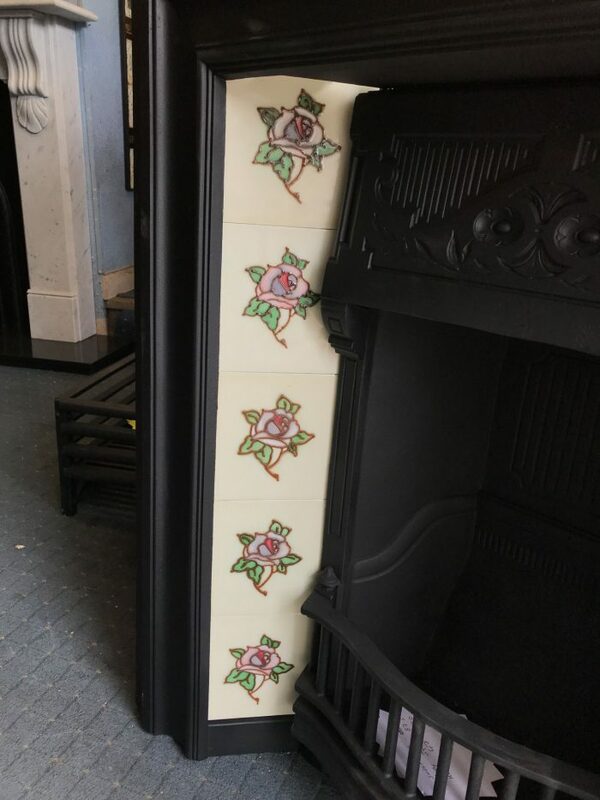 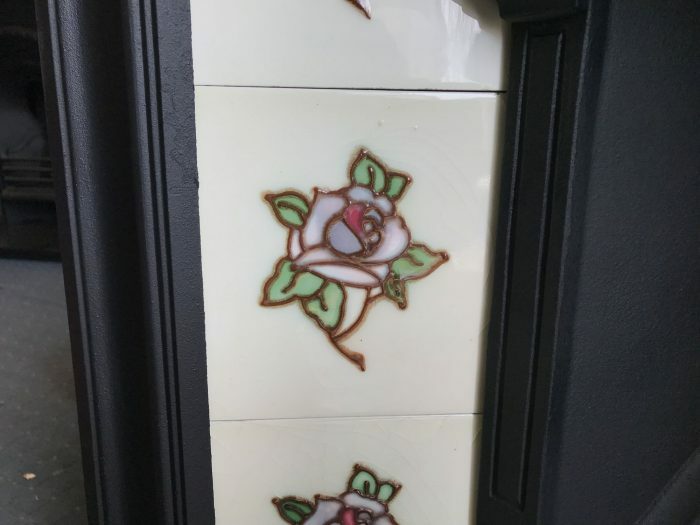 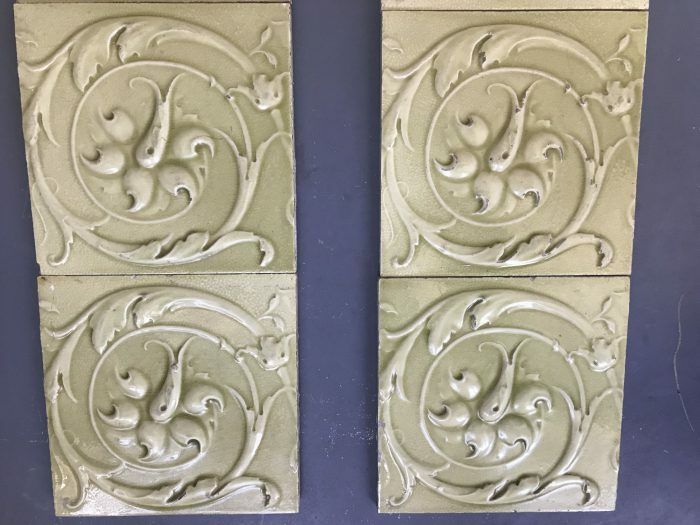 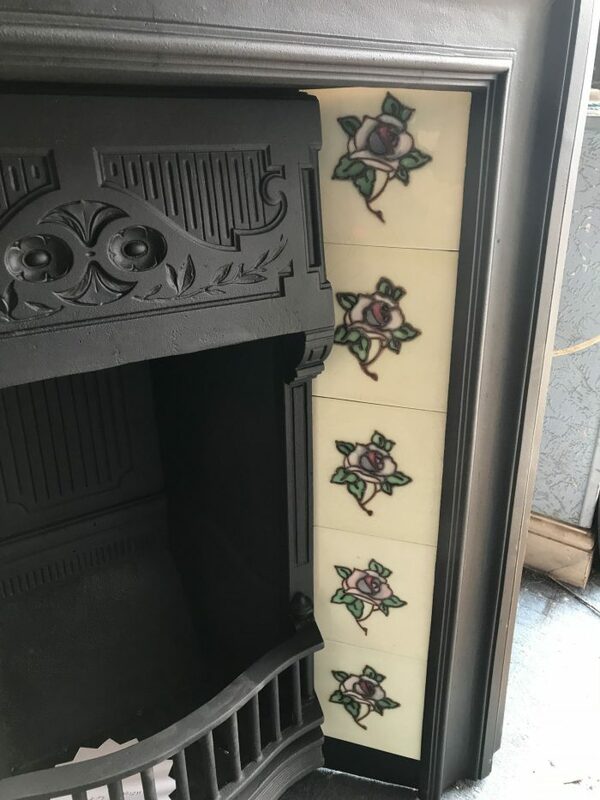 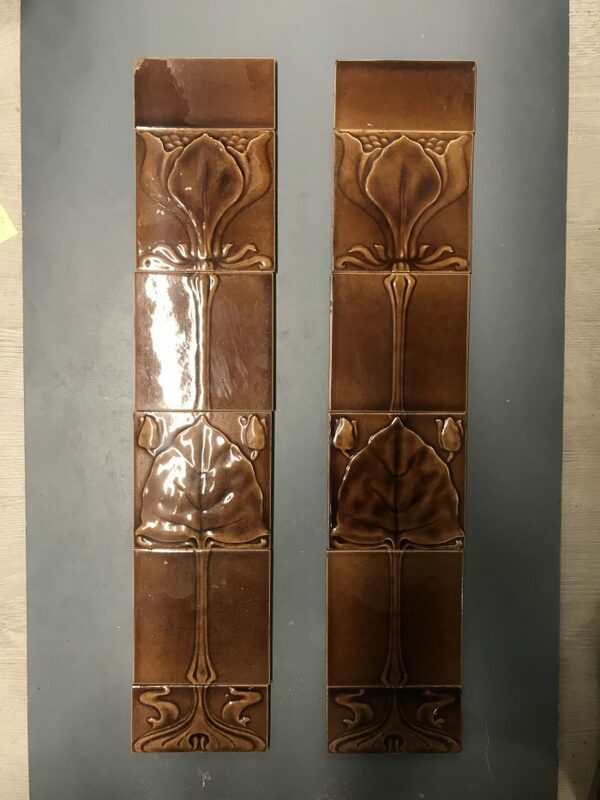 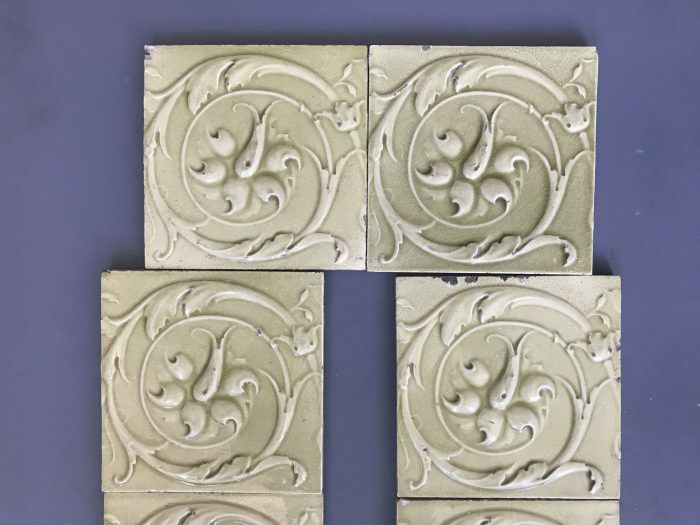 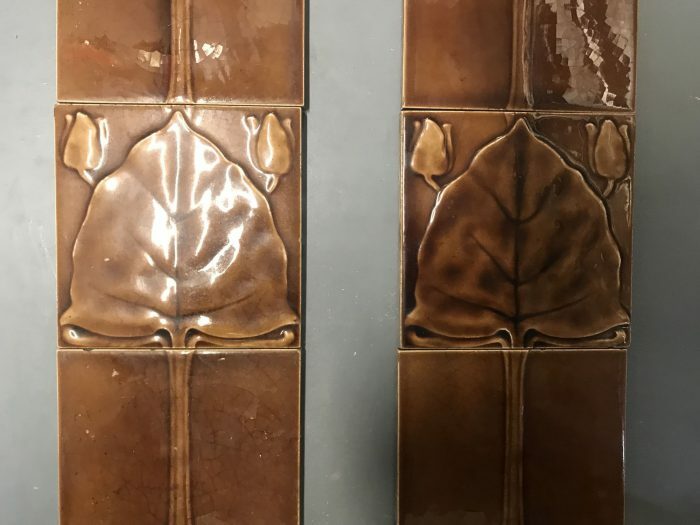 Rare set of tiles by Rhodes Tile Co RD 483 725 Dated 1906. 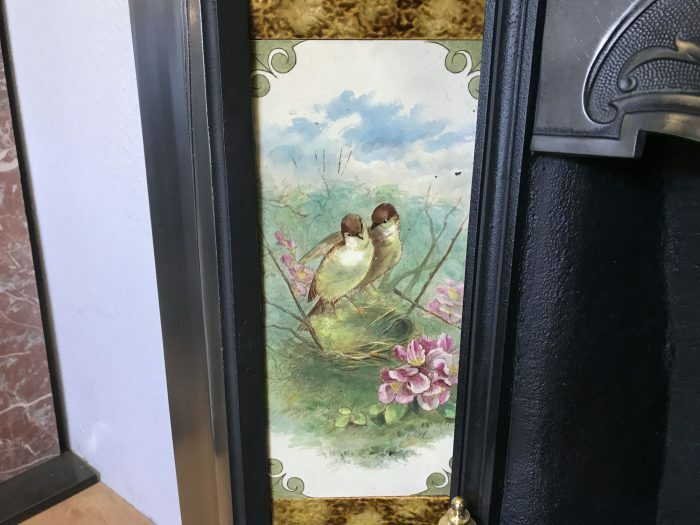 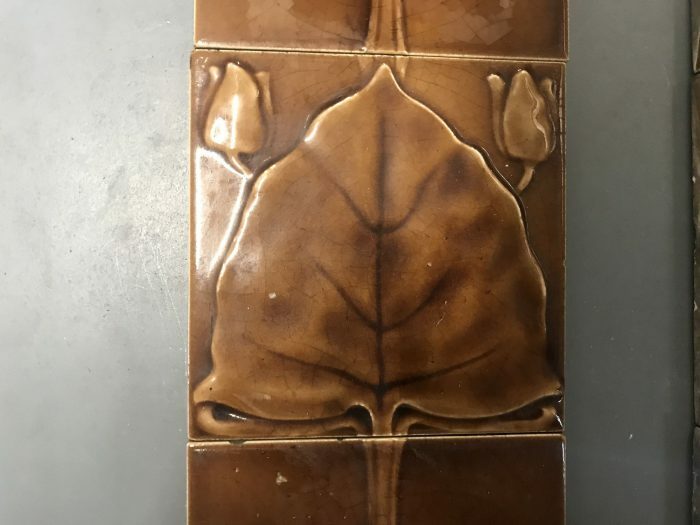 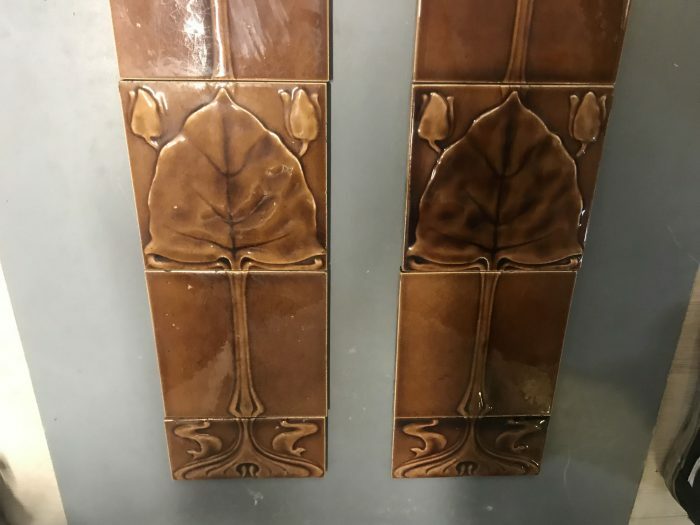 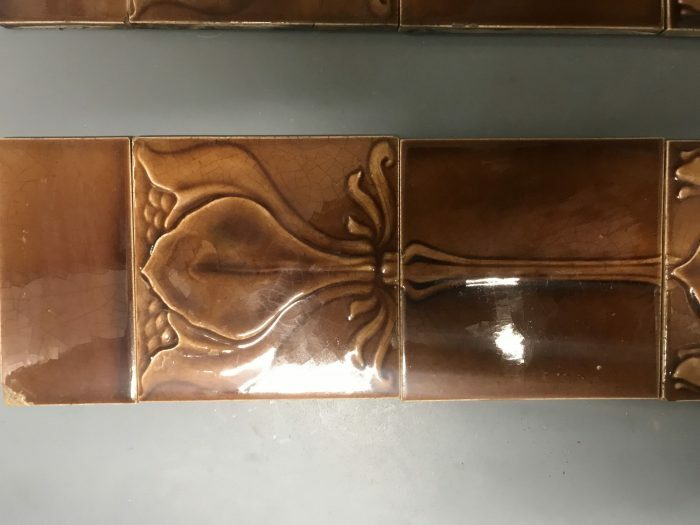 Art Nouveau tiles in teapot brown 1905-1910. 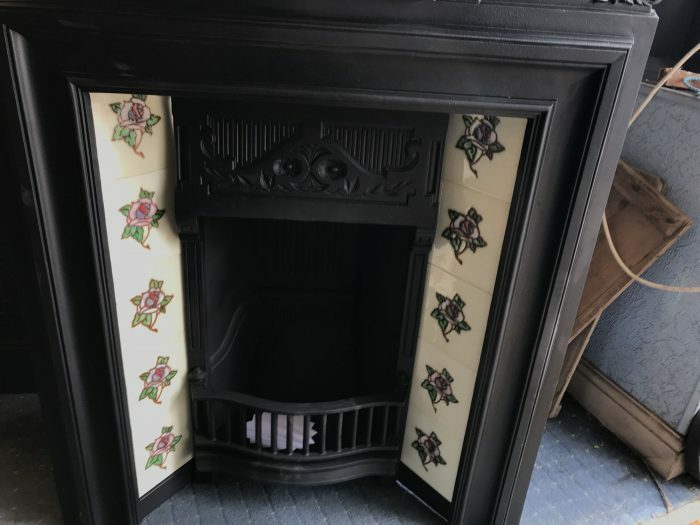 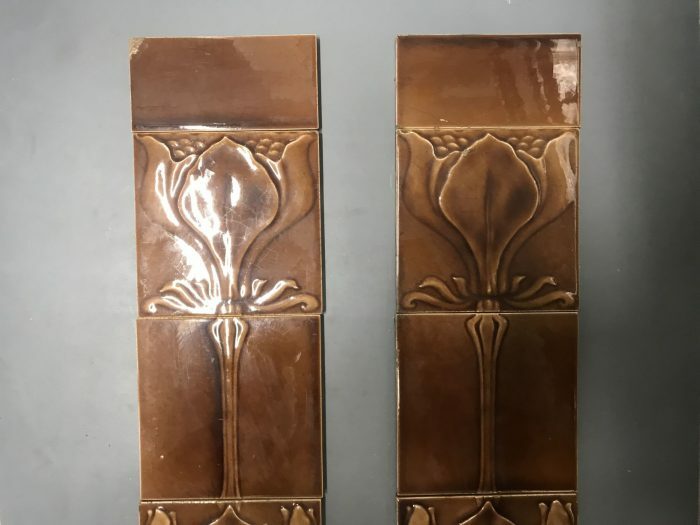 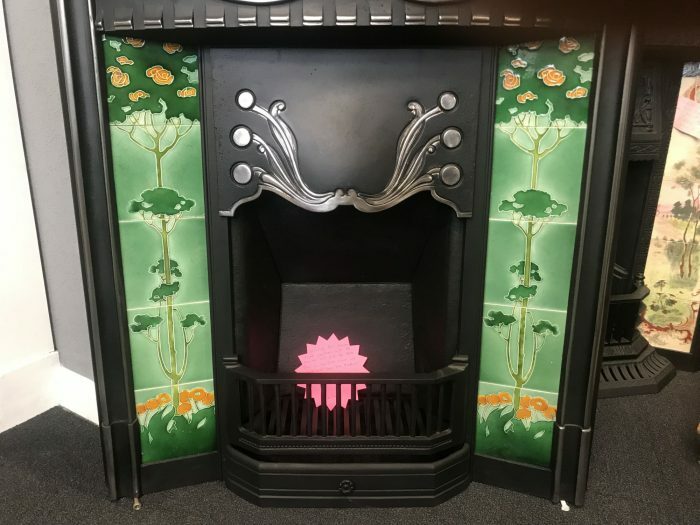 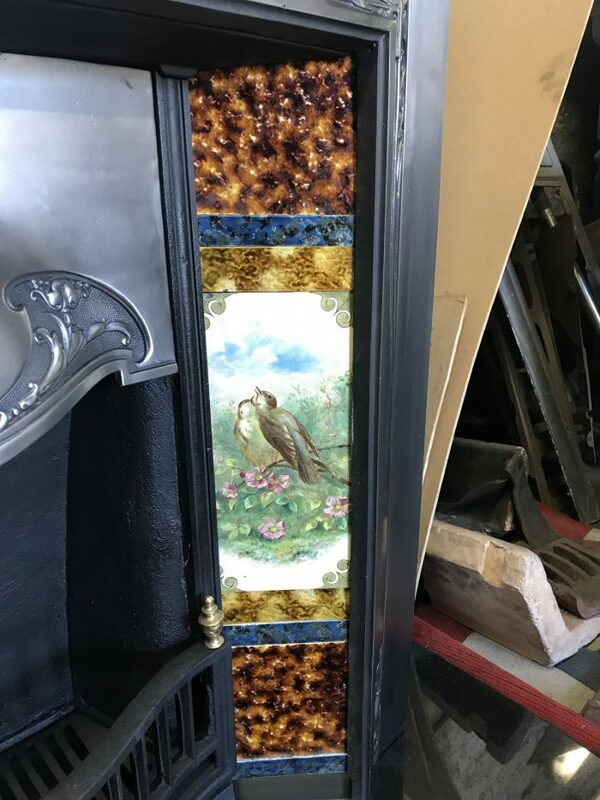 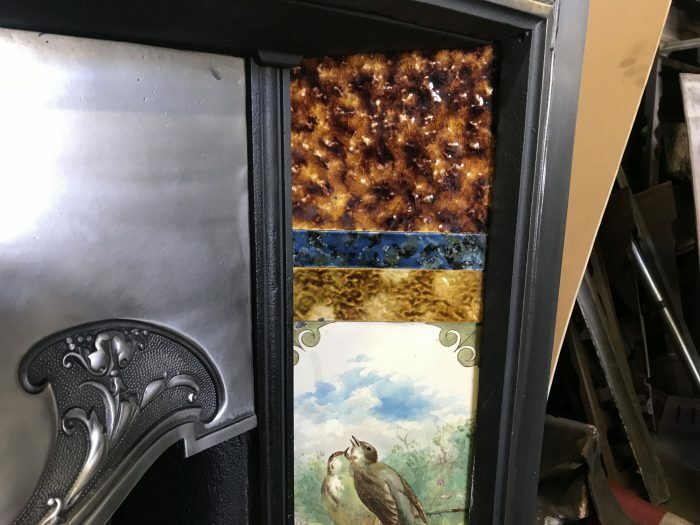 Hand made by Marsden Tile Co.